for $450,000 with 3 bedrooms and 3 three quarter baths. This 2,581 square foot home was built in 1999 on a lot size of 0.37 Acre(s). 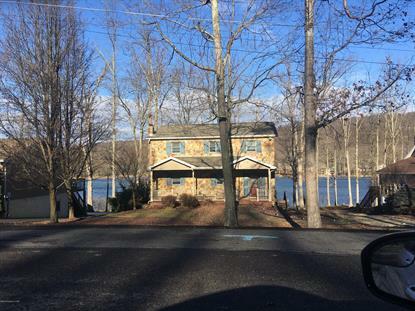 CUSTOM BUILT 3 BEDROOM 3 BATH LAKE FRONT HOME LOCATED ON THE BI LAKE IN EAGLE ROCK RESORT. HOME FEATURES NEW STAINLESS STEEL APPLIANCES, HARDWOOD FLOORS , OPEN FLOOR PLAN, LOWER LEVEL FAMILY ROOM AMD BATH, PRIVATE DOCK AND EXPANSIVE LAKE SIDE DECK WITH PANORAMIC VIEWS AND BREATH TAKING SUNSETS.FURNISHINGS NEGOTIABLE! !